"One day an apple keeps doctors away" is a familiar saying for most people. Indeed, apples contain many nutrients such as saccharides, organic acid, vitamins, minerals, polyphenol and flavonoid. Apples are named by scientists "all-around healthy fruit." Then let's find what health functions apples have to earn such a good name. Prevent cancers: researches show that polyphenol in apples can restrain the proliferation of cancer cells. Another research conducted in Finland is more exciting, saying that flavonoid is an effective anti-oxidant which prevents cardiovascular diseases and cancers effectively. Long-term eating of apples can reduce the chance of getting the lung cancer and 20% of other cancers. National Institutes of Health, France indicated that Oligomeric Proantho Cyanidins (OPC) can prevent the colon cancer. Keep the acid-base balance: 70% of diseases occur in people with an acidic physique. Apples are basic food which can neutralize excessive acids (including those caused by exercise and acidic foods such as fish, meat and eggs) in human bodies to strengthen the physical power and immunity. Have the function of anti-oxidation: researchers at Cornell University, USA put brain cells of mouse in the fluid containing quercetin and vitamin c and found that the ability of anti-oxidation of cells being improved a lot. Compared with other fruits, quercetin is much more contained in apples. And red apples have more than yellow or green ones. And thus, for people who suffer from Alzheimer's disease, apples are the best choice. Reduce the blood pressure: excessive sodium is a major cause for the high blood pressure and stroke. Potassium in apples can combine with the excessive sodium and be discharged out of the body. Meanwhile, potassium can effectively protect vessels and reduce the chance of high blood pressure and stroke. Strengthen bones: the minerals boron and manganese in apples can strengthen bones. Boron can increase the estrogen and other compounds in blood which reduce the loss of calcium. Medical experts say that 3 grams boron per day for women whose periods stop coming, those women can reduce 46% loss of calcium. They can prevent the osteoporosis if eating many apples. Lose weight: apples can increase the satiety. 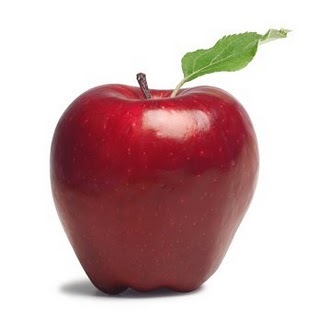 Thus eating an apple before meals can reduce the food-intake, and achieve the goal of losing weight. From the above, we know many benefits apples have, and from now on, we should stick to eat one or two apples every day so as to keep fit.